I never really celebrated St. Patrick's Day. I remember wearing green to school when I was little. My mom would sometimes put my hair up in two, long blonde pigtails and tie green ribbons around them. Other than that, I don't think I did anything out of the ordinary on that day. Although...I seem to vaguely remember a green Care Bear with a shamrock on his tummy that I paid special attention to that day. Maybe I brought him to school? I also could be making that up or confusing it with another popular 80s toy that was green and had a shamrock somewhere on it. I also thought Leprechauns were neat. Little magical people with rainbows and gold? What's not to like? I colored my share of them with green jackets and tiny black top hats. Oh, yes, and the school cafeteria handed out our milk cartons (which looked normal) with no indication that, when you finally got the damn thing ripped open, the sloshing liquid inside was a putrid pea color. It tasted like milk but, honestly, gross. That must have been the precursor to the green beer I was always served on St. Patrick's Day if I was stupid enough to join the mob of if-I-drink-enough-maybe-my-puke-will-be-green guests visiting the bars every March 17. This is a decidedly Christian holiday celebrating, um, what’s his name. That saint. But, like many holidays, it has long since been celebrated as a secular feast and drink-fest. 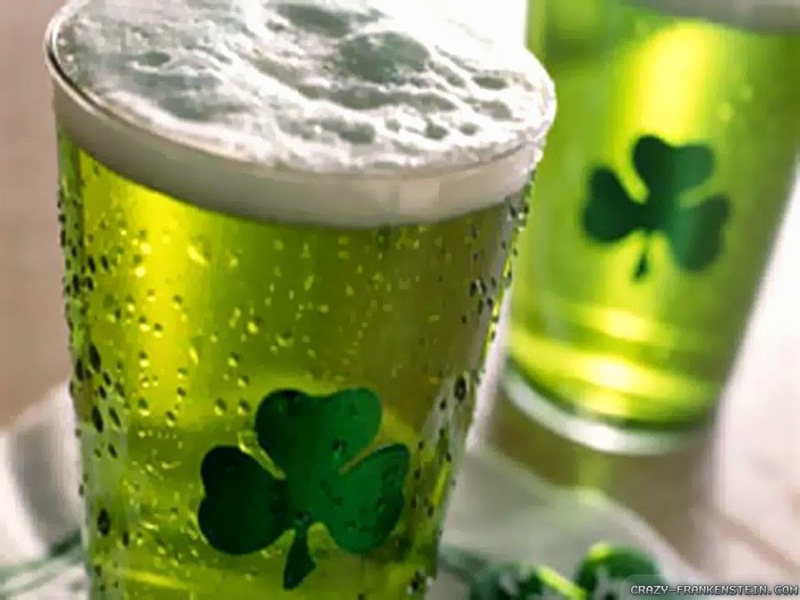 So, regardless of your religion, on March 17, everyone is Irish, wears green, and loves beer. Kids cut out shamrocks and wear green. Adults drink beer and wear green. And, well, that’s kind of it.